A long gravel driveway leads to this very private 32+/- acre property, featuring 2 mobile homes and a barn.5 acres of this property are open and cleared, with the remainder wooded. A serene year round creek flows along the back of this beautiful property.The double wide mobile home is a 28'x72' built in 1998. 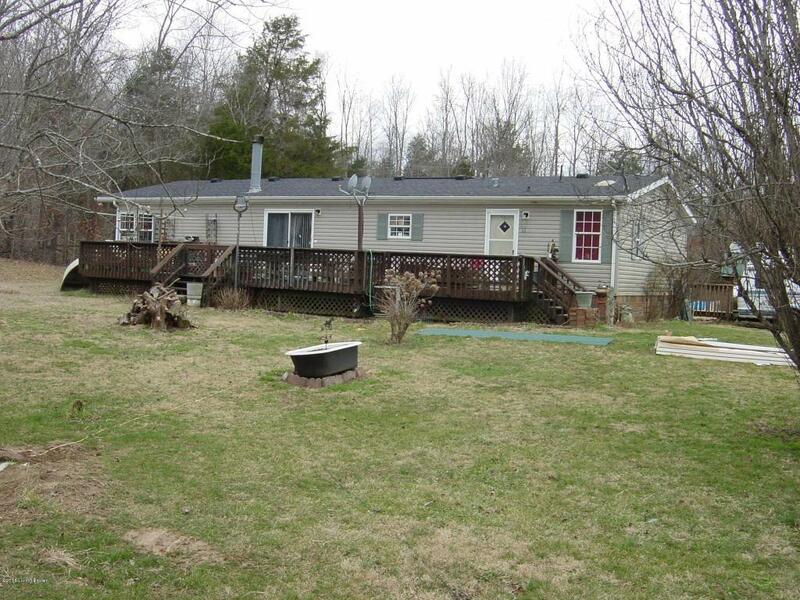 This home features 3 bedrooms, 2 bathrooms, fireplace, spacious deck with ramp and new vinyl siding. The second single wide mobile home is a 12'x59' built in 1982 and has 2 bedrooms and 1 bathroom.This is the perfect place for the outdoor lover and hunter, with the ideal combination of modern comforts and amenities and nature. Come see this private, rural property that is waiting for you to call it home. Listing provided courtesy of Mossy Oak Properties Hart Realty. © 2019 Metro Search, Inc. All rights reserved.